One continuous image can be quickly viewed throughout ADOT on its network. ArcGIS Image Server is making it easier for the agency to create submittals and saves money because there are no extra storage requirements. Non-GIS users can view data the way they are used toquickly and intuitively. Arizona's Multimodal Planning Division (MPD) of the Arizona Department of Transportation (ADOT) provides high-quality transportation research, plans, and programs to the public. The central objective of MPD is to help identify current significant transportation issues in Arizona and improve existing systems. MPD is also committed to cost-effectively maintaining and expanding the state's transportation infrastructure. Showing recent area of Arizona state road centerline work. 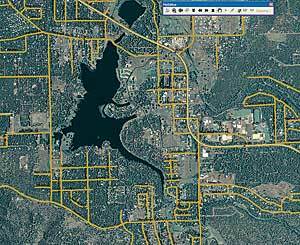 The ADOT GIS and Transportation (GIS-T) Section maintains the statewide street centerline GIS database and coordinates GIS issues for ADOT. Primarily focused on the more than 6,200-mile state highway system, the section maintains the GIS database, also known as the Arizona Transportation Information System (ATIS) Roads and is the foundation for many planning studies and programs, including supporting the federal Highway Performance Monitoring System (HPMS) for the state of Arizona. ATIS Roads originated from the Accident Location Information Surveillance System (ALISS) map base that was maintained using photogrammetry and mapping until its conversion to GIS in the early 1990s. What began as a simple drawing tool has now grown into a full GIS. "GIS is a necessary tool for Arizona to plan, analyze, model, and manage our information," says James Meyer, senior GIS analyst, ADOT. "It has really helped us provide a visual array of information that allows our users to easily understand complex environmental, economic, and social issues. GIS is also useful as an effective tool for bringing people together on the same page when discussing programs and policies in the state." One of the ongoing projects of ADOT is the ATIS Roads Update, an ongoing project that is the most important work of the group since it is the basis for all the GIS data at the organization. This street centerline file for the state of Arizona is used to reference routes and mileposts that are geocoded to the linear referencing system and displayed on the maps. Subsequently, all data in ADOT uses the standard ATIS nomenclature for referencing location. An Esri GIS user for many years, ADOT has adopted ArcGIS Image Server. "Using imagery, it is easy for us to identify areas where the streets in our database don't match up with real-world information," says Meyer. Four terabytes of imagery are used to verify ground data. Once an ominous task for the department, today using this much raster data is an efficient means of viewing and analyzing its information. "In the past, looking at images of the road network meant hooking up an extra hard drive and sifting through 8,000 tiles," explains Meyer. "Now we are able to view one continuous image quickly throughout the department on our network." This is possible because ArcGIS Image Server mosaics and processes imagery on the fly, providing ADOT with the seamless image products it needs without having to save multiple copies of the same image or perform time-consuming image preprocessing. ADOT is able to let users throughout the Planning Department access the most current imagery available. "This has taken out any reason to have data redundancy throughout the agency," says Meyer. "It also means we save money by not having to deal with extra storage requirements." Team, front row, left to right: Wayne Rich, James Meyer, Mohamoud Abdirazak. Back row: Mick Cseri, Josh Lee, Rolando Hernandez, Mike McGill, Jim Snow. Many users at ADOT are new to GIS, so they are unfamiliar with the traditional means of loading and looking at images. "Now it is easy for non-GIS users to view data in the way they are used toquickly and intuitively," says Meyer. "Users new to GIS don't think twice about the amount of data they are viewing or how quickly they can access it," adds Meyer. "Unlike the way we traditionally viewed large images of the stateon an extra hard drive and slowlyour new solution lets us support many more users than before. This in turn has let us expand the use of GIS data throughout the whole organization." MPD's goal is that ArcGIS Image Server will support all of ADOT's aerial image needs and be adopted by other non-GIS departments, such as the CAD Department. Potentially, CAD users will be able to QA/QC their survey data and measure the ground truth with the images. ArcGIS Image Server is also important in supporting the continuing efforts of HPMS. A requirement of each state, HPMS is America's national database of highway information. Roadway extent, use, condition, and performance data is collected by and for the states and submitted to the Federal Highway Administration (FHWA) each year. From a national perspective, FHWA's primary intent with this program is to provide Congress with a policy tool for major highway legislation and funding decisions. 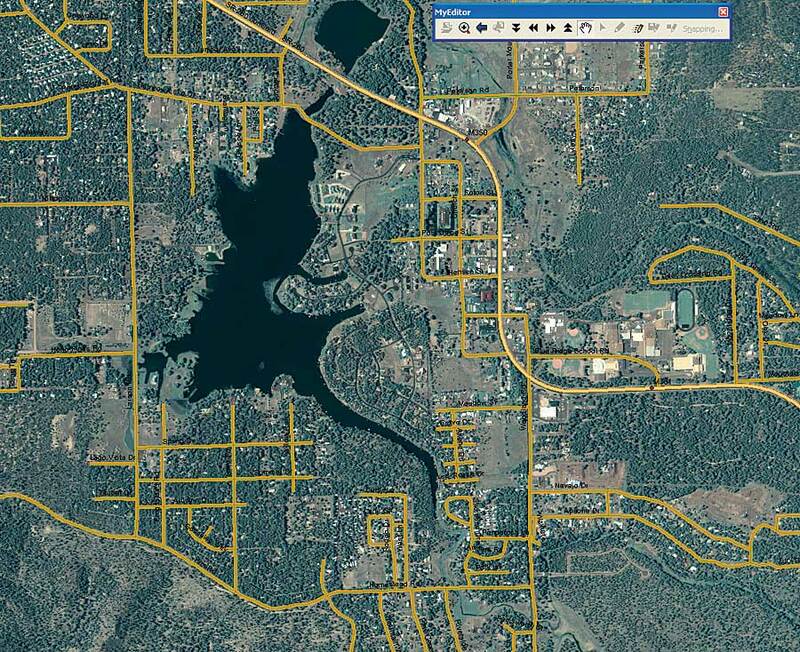 ADOT has promoted the use of GIS in collecting, reviewing, and disseminating HPMS data. ArcGIS Image Server is making it easier for the agency to create submittals by reviewing existing street networks and ensuring roads are accurately placed on the map and information about those roads, such as speed limit zones, is correct. ArcGIS Image Server is an integral tool that allows ADOT to provide the best administrative, financial, and clerical support possible. The software has proved valuable for planning, traffic, and feature inventory, and the agency plans to continue expanding its use to more departments. 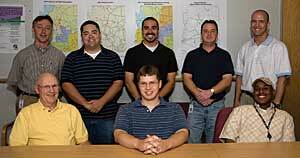 For more information, contact James Meyer, senior GIS analyst, Arizona Department of Transportation (tel. : 602-712-8037, e-mail: JMeyer@azdot.gov).